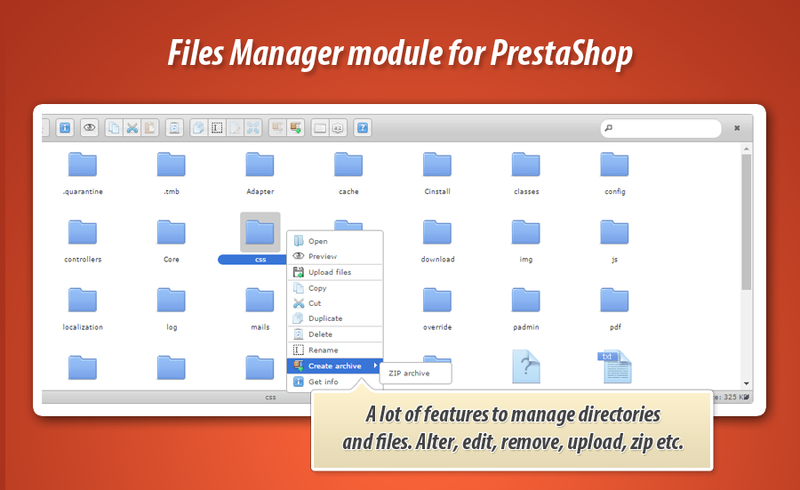 Media files manager module for PrestaShop is an addon similar to popular in wordpress "media manager". 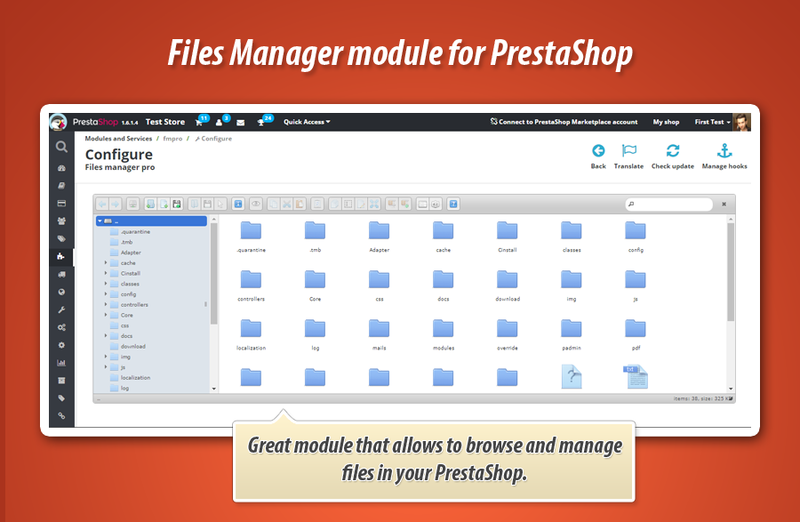 With this addon you can manage files in your PrestaShop. 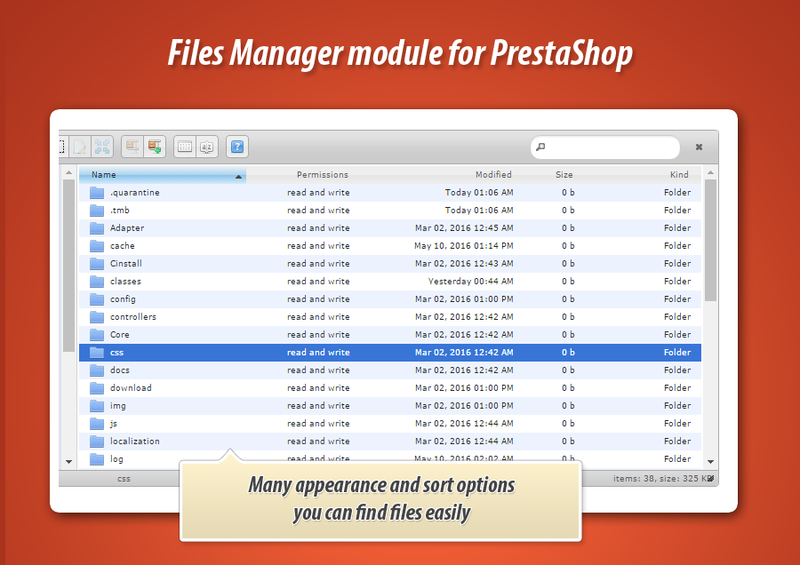 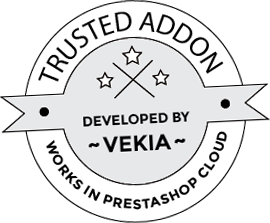 So, simple saying - you can edit files of your shop directly from your back office. 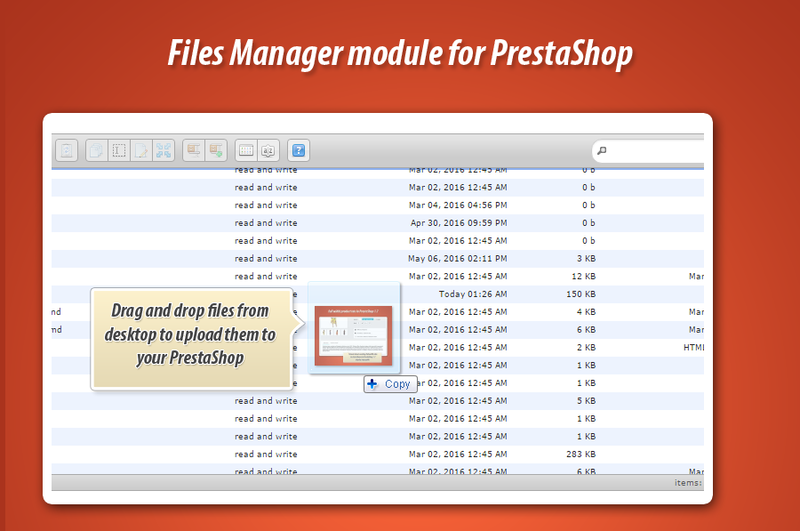 It's great way to upload and manage images too.